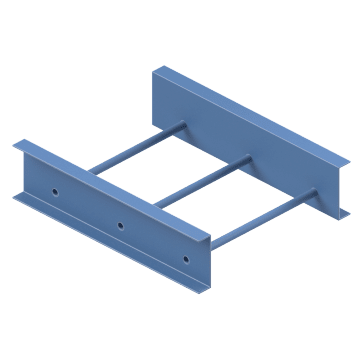 Route cable from one point to another with these lightweight, open frame cable ladders and components. 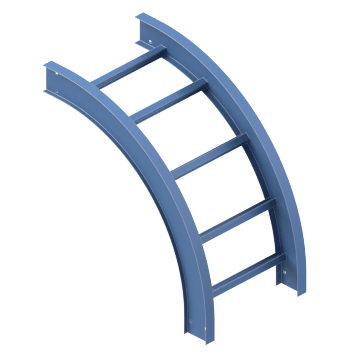 Two side rails with intermittent rungs give this ladder design maximum ventilation for cable and versatility for indoor and outdoor applications. They are for use in power, automotive, transportation, data, heavy industrial, and commercial industries. Create straight runs of cable ladders. Use these straight ladders with elbows, tees, clamps, and connectors to create a full ladder system. 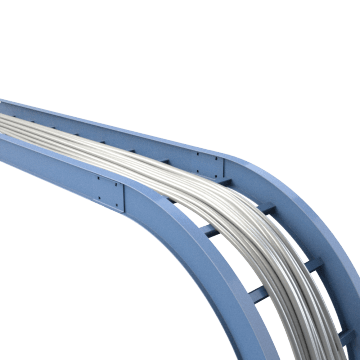 Branch cable into intersecting pathways along a horizontal plane. These horizontal ladder tees have openings on three sides. 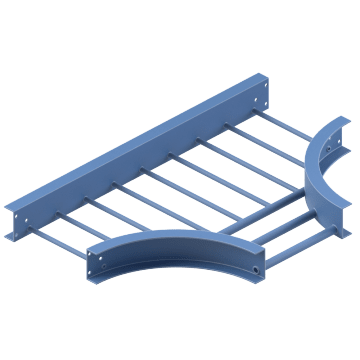 These curved elbows connect two ladders perpendicularly along a horizontal surface. 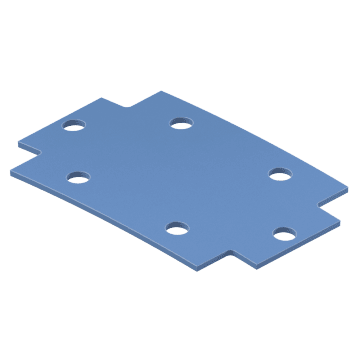 They are ideal for routing ladders around equipment and corners. Connect two ladders perpendicularly along vertical surfaces. 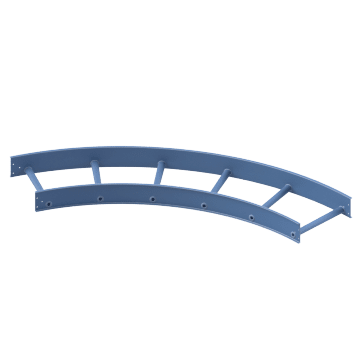 These curved elbows are ideal for routing ladders around equipment and corners. Securely attach two separate ladders, tees, or elbows. These connectors slide onto the ends of ladders to allow for one continuous system. 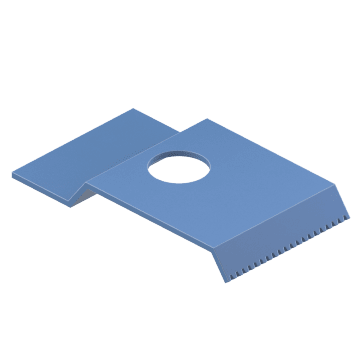 Connect the ladder to the supporting structure with these hold-down clamps. The clamp attaches to the flange on the ladder.